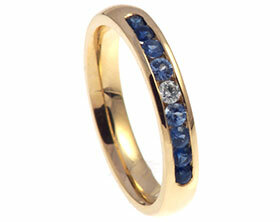 This beautiful 9ct white gold eternity ring is 4mm wide and has a soft d shape profile. 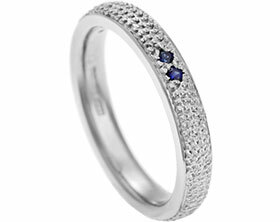 At the front of the ring two 2mm sapphires and three 2mm brilliant cut H SI diamonds have been grain shape set in squares on their points. 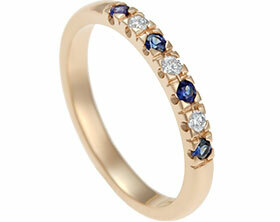 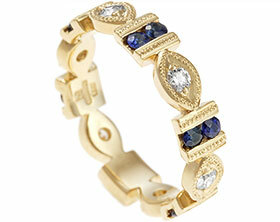 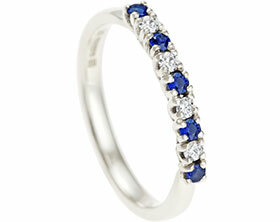 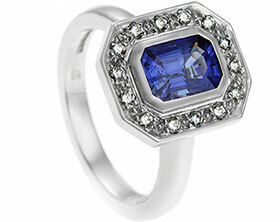 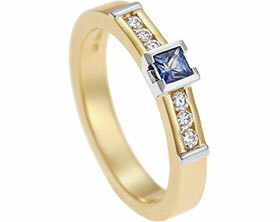 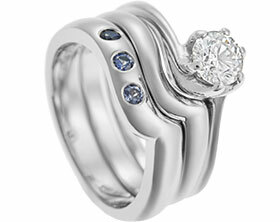 The total weight of diamonds in this ring is 0.10 carats, and sapphires is 0.06 carats. 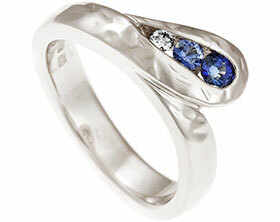 To finish the ring has been polished and rhodium plated. 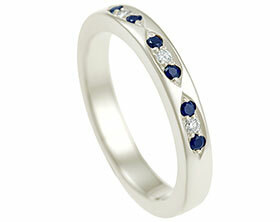 9ct white gold eternity ring with pave set sapphires and diamonds. 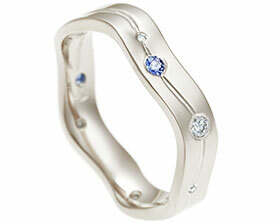 Bespoke 9ct white gold scatter set eternity ring. 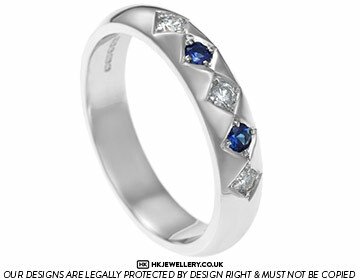 Bespoke platinum art deco inspired eternity ring. 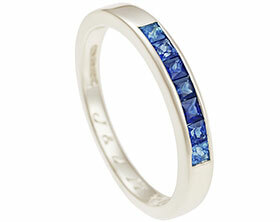 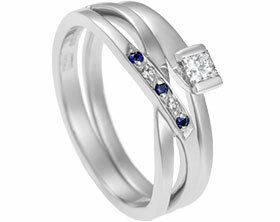 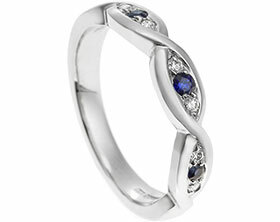 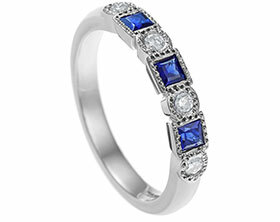 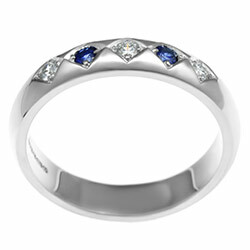 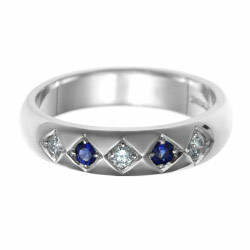 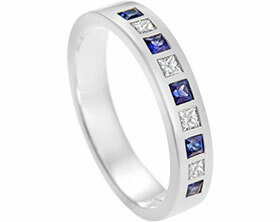 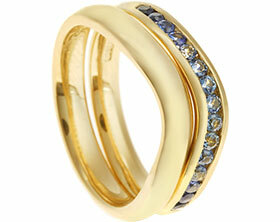 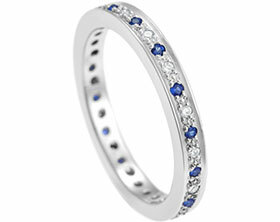 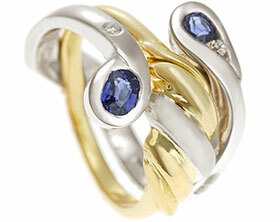 Sapphire and diamond eternity ring. 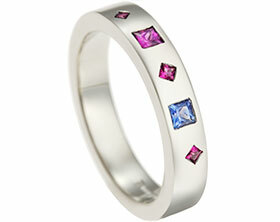 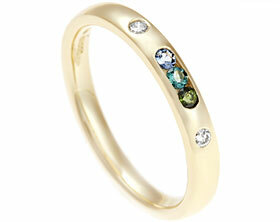 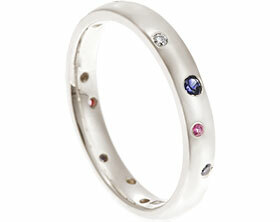 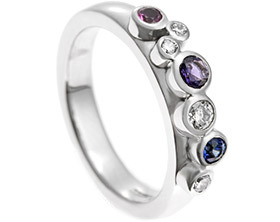 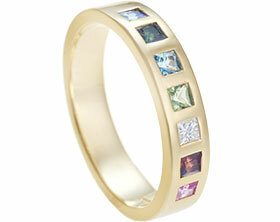 A Palladium channel set coloured stoned eternity ring.